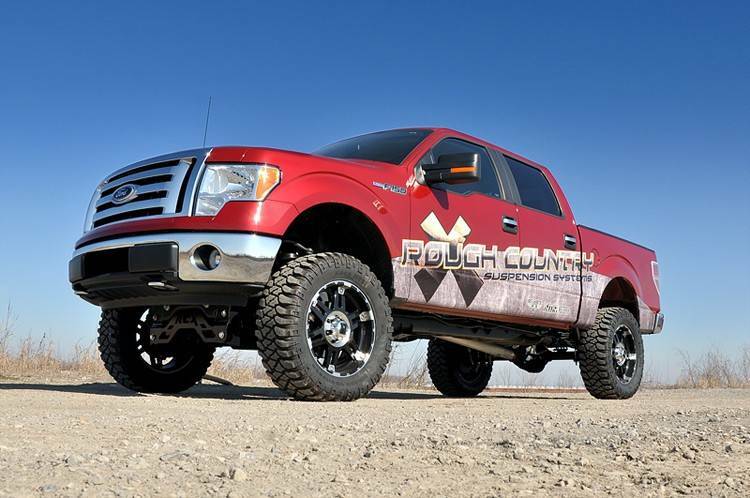 Give your '09 - '10 Ford F-150 an aggressive new look and unparalleled off-road performance with Rough Country's 6-inch Suspension Lift. 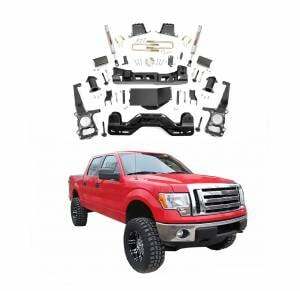 This all-inclusive kit features everything needed to take your Ford off the freeway and into the fields. Featuring a set of durable lifted knuckles and strut spacers or N2.0 lifted struts, you'll gain enough ride height to run up to 35-inch tires! 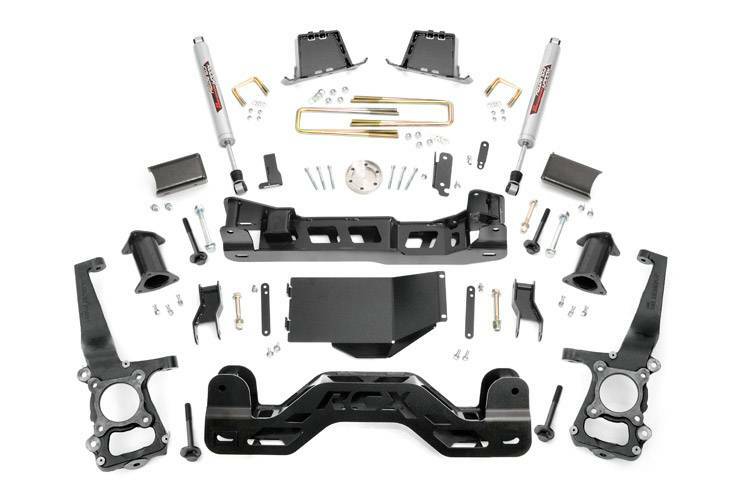 A set of differential drop brackets, sway-bar drop brackets, brake line brackets, and a drive shaft spacer help keep everything at an optimum angle for a factory-like ride, even after lifting. A 1/4-inch thick plate steel front and rear cross member bring uncompromised strength and good looks to your truck, featuring a laser-cut "RC" logo and an easy-to-install design. Our 4-inch Fabricated Rear Blocks offer considerably more strength than their cast iron counterparts, and were specifically engineered by Rough Country to prevent against axle-wrap. A set of Rough Country's premiere off-road shock absorbers - Performance 2.2's - are also included in this kit, featuring a large 2.2-inch diameter body with a chrome-hardened piston rod and long-lasting polyurethane bushings. Fabricated rear blocks are stronger and offer a longer lifespan than cast blocks. Wheel BS: 4.5" - 5"
Requies minor cutting and drilling. 9-inch wide wheels are recommended.